Is Elton John Correct? Is Pope Francis a 'Hero' for LGBT People? 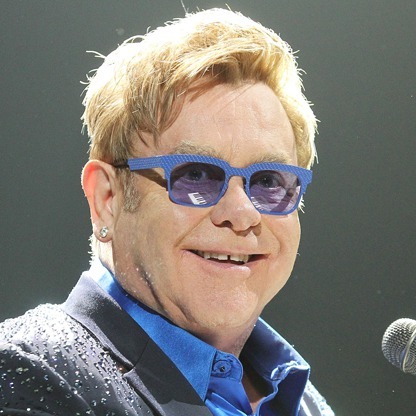 “Sir Elton John has called Pope Francis his ‘hero’ for his compassionate drive to accept gay people in the Catholic church. “ ‘Ten years ago one of the biggest obstacles in the fight against AIDS was the Catholic church. Today we have a pope that speaks out about it,’ said John, earning cheers from the attendees at Cipriani’s on Wall Street. . . . Praise from such a prominent secular gay advocate surely shows how positively Pope Francis’ message of inclusion is received by the world beyond the Catholic Church. But it shows something else, too, I think. Is Elton John right? Is Pope Francis a saint? Elton John’s praise shows that probably a good portion of the world sees that Pope Francis is trying to develop a new approach to LGBT issues. Despite the minor setback that the synod’s final report caused in the movement for greater welcome, people are picking up, instead, on the idea that Pope Francis is pushing for greater reforms. Perception vs. reality? Pope Francis has certainly done more for LGBT people than any other pope, by his simple and powerful gestures and statements. Yet, we have yet to hear direct support for LGBT inclusion. We see him nudging the Church in a direction that is more welcoming, but we don’t see him making bold statements. Is his nudging a strategy? For example, would making bold statements alarm too many conservatives? On the other hand, is his simple nudging a way of simply providing new window dressing for the same old, same old? Frankly, it’s hard to say. I tend to be an optimistic person and one who favors pragmatic solutions over ideal ones. So, I guess I lean toward the side that Pope Francis may be more genuine in his welcome than not. Part of my perception is that I see the pragmatic effects of his nudging: pastoral leaders are becoming a little more courageous. Perhaps not much, but somewhat less fearful. What do you think? Is Pope Francis really as good as Elton John says he is? Why do you think he is or isn’t? Leave your answer in the “Comments” section of this post. https://www.newwaysministry.org/wp-content/uploads/2017/09/logo_nwm-1.png 0 0 Francis DeBernardo, Editor https://www.newwaysministry.org/wp-content/uploads/2017/09/logo_nwm-1.png Francis DeBernardo, Editor2014-10-31 01:00:072014-10-31 01:00:07Is Elton John Correct? 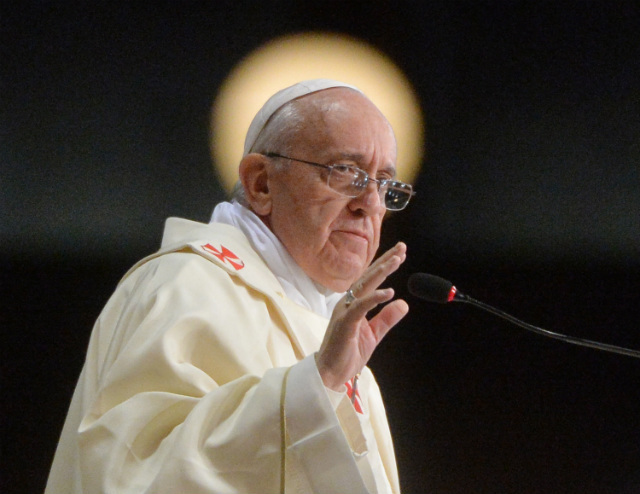 Is Pope Francis a 'Hero' for LGBT People? Within weeks of Francis’ election, and long before we knew where he was going politically and socially, a person adept at “psychic channelling” posted a long essay online, in which he claimed to have discovered that Pope Francis is, in fact, a “tulku” of his namesake: St. Francis himself! In Tibetan Buddhist terms, a “tulku” is best exemplified by the currently-living Dalai Lama — who is believed to be a reincarnation of the soul entity which has sequentially incarnated as all of the previous Dalai Lamas. Of course I can’t prove it, but I have no trouble accepting its plausibility in this instance. It would not surprise me at all if Pope Francis is, in fact, a returning incarnation of the great St. Francis himself. Many aspects of his amazing strength, compassion and personal humility would be supernaturally explained by such a “returning visit”. Long may he abide with us! Don’t we all just want to know that someone cares enough to listen?